So, after having given up on For Honor (I'm selling everything..), I have moved on to another Multiplayer-focused game..
Dead by Daylight, an asymmetrical horror game pits 4 survivors against 1 killer (4v1). The game was originally released only on Steam but its success has now brought it to consoles. 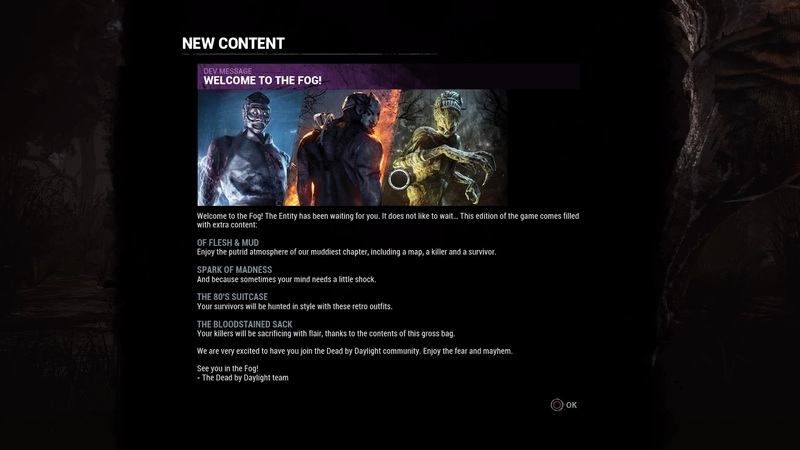 The game is released as a Special Edition with all of the following content.. Playing as a Survivor, you have to, team up with 3 others, escape the map before the killer catches and kills you. You will be tasked to repair 5 generators spawned randomly across the map to power up the exit gates. Only after powering up the exit gates, can you open it up to safely exit the map. Survivor actions such as successfully repairing a generator, failing a quick-time event (when repairing a generator) among others will alert the killer to your location. When the Killer is close enough, Survivors hear a heartbeat which increases in rate if the Killer is very close. If the Killer spots a Survivor and is close, a 'chase' sequence starts where the Survivor has to use obstacles around the map to successfully escape and end the 'chase'. As you level up, different items & perks become available to you, changing the way you play. Each Killer also comes with different abilities and have varying strengths and weaknesses. 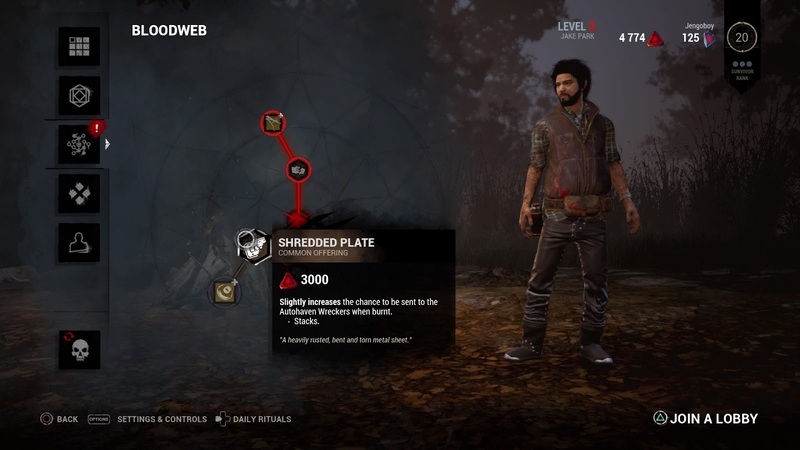 Actions throughout the game earn you 'Bloodpoints' which are spent on the 'Bloodweb' which serves as a Skill Tree to unlock these items & perks. As you progress through the 'Bloodweb', you level up, unlocking more opportunities. The game does well in creating the horror element. Things can get rather terrifying when you hear the 'heartbeat' approaching and panic can lead you straight into the path of the Killer.. Here's an example of me in great distress.. I was in voice chat with a friend but you won't hear their voice due to their settings.. The game also puts you in that 'oh-so-often' horror movie situation.. "Do you help a friend and risk getting caught yourself.. or do you stay safe and end up being left alone". Here's a close shave when we went to save someone.. Just managed to get him off the hook at the last second but almost paid for it! Playing as a Survivor is fun especially if you are with friends. Hearing each other screaming in the mic, brings plenty of laughs. Being in a party also helps when you can communicate with your team-mates. The game doesn't have in-game chat so you have to use party chat to talk to friends. While it's definitely beneficial to play in teams, playing with randoms isn't impossible. The game doesn't require you to team-up closely with your allies. I have 'survived' plenty even with randoms. Playing as a Killer, you will have to hunt down & catch the Survivors to hang them on one of several hooks spawned across the map. Hang them on the hook long enough, or 2-3 times, and the survivor will be sacrificed or, blatantly put, killed.. The Killer is just as fun, if not more enjoyable.. If relying on others isn't your thing, then wreak havoc on your own as one of six killers in the game. 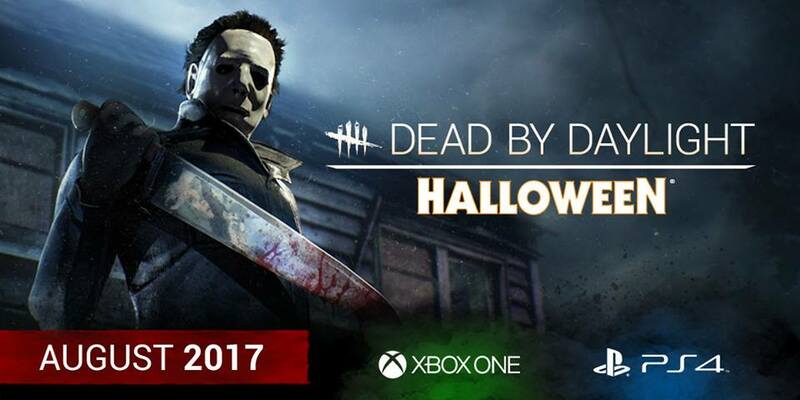 and we will get to play as Michael Myers as the 7th Killer in August! My favourite Killer at the moment is the Hag and here are some vids of my gameplay..
Each Killer has their own strengths and weaknesses so it's up to you to see which one suits you the best. 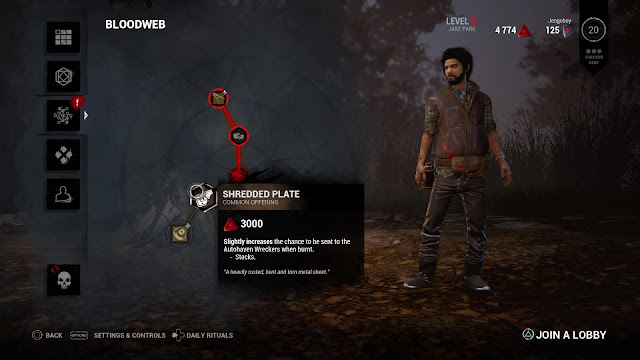 Good Survivor Players can frustrate you but as you unlock perks and items, you can do some real damage. There is no story mode in this but it doesn't need to. The game lore is kept mysterious but revealed in bits and pieces through journal entries. There is only 1 game mode but I haven't felt bored of it yet. With multiple Killers and Survivors, the different play-styles keep it fresh for me... And I haven't tried them all! Apart from loadout customization, there is also character customization through unlocks and future paid/free DLC. Nothing very fancy and it also looks like console players might not get some customization items that will remain exclusive to Steam, because of partnerships and deals. Unfortunately, there doesn't seem to be many locals playing this on consoles, but I found a few International Groups and have been teaming up with those guys. The community has been surprisingly friendly for a competitive game. Hope to see more friends get on this game and I was even thinking of doing a give-away if there's enough interest in this! 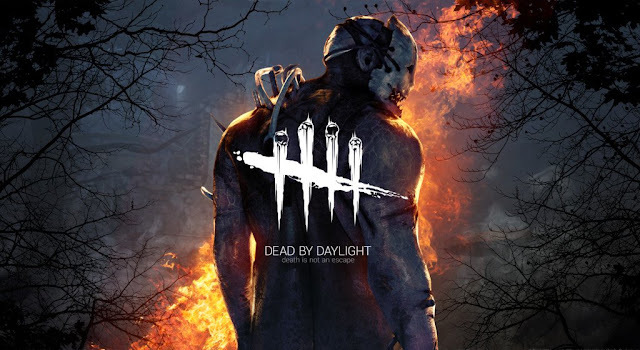 Like or comment below to show your interest and I might give you a copy of this and we can be Dead by Daylight together!